We had to go to work on Thursday – it’s an international school, not an American one – but we had the day off Friday for mid-quarter. It was a fine day for cooking, visiting with friends, and generally being thankful that we were far, far away from any kind of Black Friday insanity. Assembling the ingredients for a proper Thanksgiving dinner in Addis presented a few challenges. Mashed potatoes, carrots, and green beans were easy. In our shipment I’d packed a can of cranberry sauce, canned yams, some dried sage and thyme, and baking chocolate for Alekka’s favorite pie. I baked my own bread for the stuffing. Our friend Nella contributed a pumpkin pie she made from local squash. I brought whipping cream back from South Africa in an ice chest. I gave up on the idea of creamed onions, though – no little onions available, whatsoever. But the trickiest part was finding a turkey. If you want to buy one from the United States commissary, you have to order it in the spring (we were living in Bosnia then and so missed that important step). Andreas thought he had a lead on a turkey farm outside of town, but then that fell through. 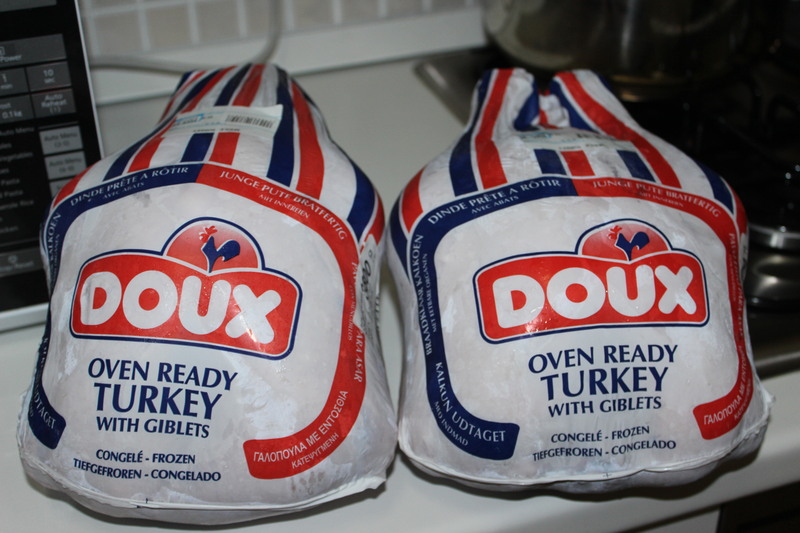 Luckily my friend Alex knew about the frozen French turkeys at the Greek grocery. She said if you don’t see them in the case, ask at the meat counter. Woo-hoo! Success. We bought two. Weighing in at eight pounds each (baby turkeys!) and a price of 1500 birr, that’s…. oh…. about $10 per pound. Hey, it’s tradition – who can put a price on that? 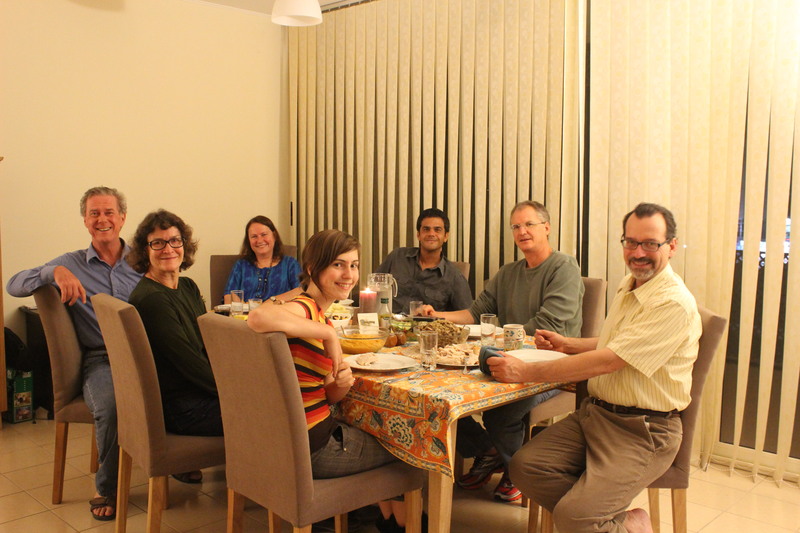 This entry was posted in Addis Ababa, Food, Home life, Shopping and tagged Thanksgiving. Bookmark the permalink. how were the french turkeys? it surprises me every time i hear of people outside of north america farming turkeys, while i like the meal i still only eat it at thanksgiving. Flavorful! We were a small group so I only roasted one of them. I’m saving the other one for Christmas. I think I will try your New Best Recipe method with turkey #2. Looks like a great repast. Ours’ was great too, topped by Jimi’s lovely pies. Did you get that awesome truck. Yahoo “SAFARI TIME’. Mmm, Jim’s pies! Don’t make me too homesick. No, we are STILL waiting for the truck. Some friends of ours went to Djibouti for Thanksgiving (you can swim with whale-sharks there) and we would have loved to have them drive the car home for us but unfortunately it doesn’t work that way. Wow, hadn’t seen this till just now. 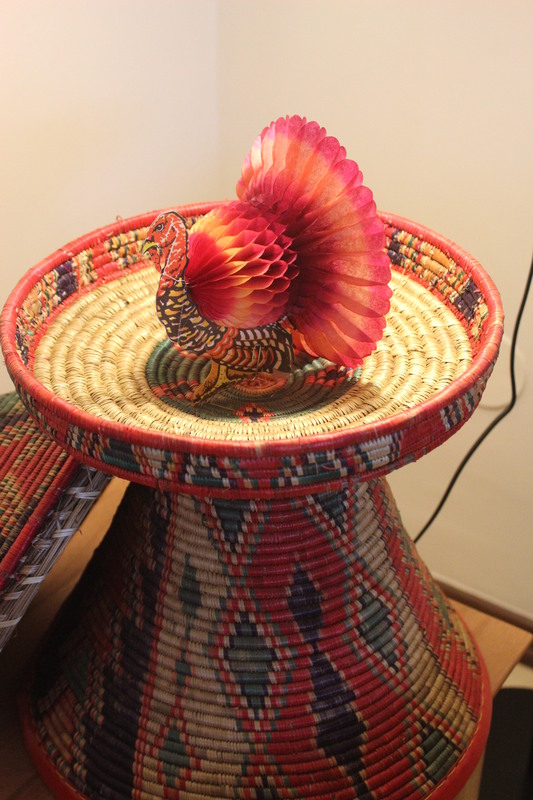 What an amazing coiled basket! Fascinating that this technique has gone (or been invented) world round. It’s the same coiling as our Navajo wedding basket, but with so many different colors! Gorgeous. Thanksgiving is our family’s most favorite holiday, treasured by my true first generation Ethiopian-American child. We celebrate Thanksgiving, immigrant style, Turkey with Ethiopian food on the side. My daughter is not yet sold on the idea of our family moving to Addis. She loves her “pampered”, clean and convenient lifestyle, here in suburbs of Seattle. Thanksgiving will be one holiday she will miss the most. I am glad to learn we can find Turkey in Addis, a chance for her to introduce the great American holiday and its tradition to her Ethiopian family and friends in Addis.